Despite reports that Texas electors are being “pressured” by some to cast their vote for Hillary Clinton, it is extremely likely that all 38 Texas votes will be cast for Donald J. Trump and Mike Pence for President and Vice-President of the United States. Electors are selected by the delegates to the Republican and Democratic state party conventions in the summer leading up to a presidential convention. Following their election, Republican electors agree to sign an affidavit committing to vote for the party’s nominee if that nominee carries the statewide vote for president/vice-president. “All of the electors signed the affidavit,” Republican Party of Texas spokesman Michael Joyce told Breitbart Texas via an email response. 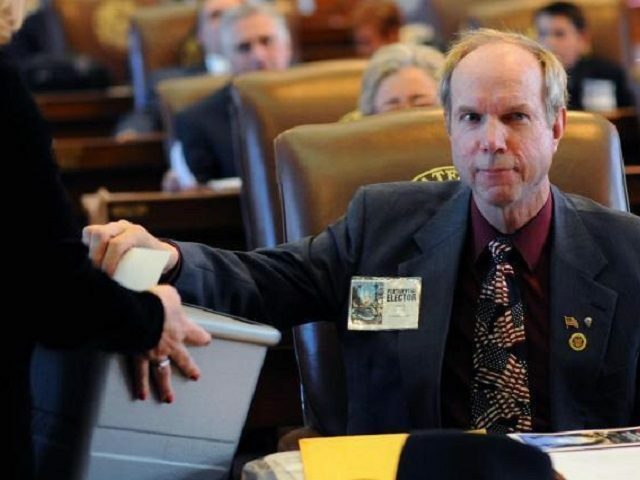 He said the electors cast their votes individually for the nominee during a December meeting of the Texas caucus in the Texas House of Representatives Chamber. One party official who wished to remain anonymous told Breitbart Texas that a “faithless Elector” would become a political pariah. At least one Texas Elector is being pressured to cast a vote for Hillary Clinton, according to an NBCDFW report. Alex Kim was elected by the delegation for the 24th Congressional District at the state’s Republican convention last summer. Kim said he responds to those asking him to change in vote by following the example set by Texas legend Davy Crockett. “You may all go to hell, and I shall go to Texas,” Kim stated.